I would like to point out a 7 part video of Alan Arkin receiving his King Vidor award at the SLO international festival on March 20. After a short speech, there’s a Q-and-A session, where he answers questions from the audience and talks about his life as an actor and his experiences. Let us all thank Youtube user xmsirius for uploading these videos. Read more for the rest. Tuesday brings us the next movie from the Fremont Theater’s successful Rewind Series. The theater opens at 7:00 p.m. and the feature starts at 7:30 p.m. The price of admission is $7:50. Click here for the full lineup and find out more. Wednesday is the free screening day of the Film Noir series at the Library. There are not many occasions where you can see classic movies as old as 1950 on a big screen, so if you can make it, it’s definitely worth it. The event starts at 5:00 p.m. This is a slideshow I made from snippets of interviews I did in the past. The clips feature Cal Poly Club of Independent Film-makers president Griffin Davis, SLO Art Center assistant director Muara Johnston and Palm Theater owner Jim Dee. 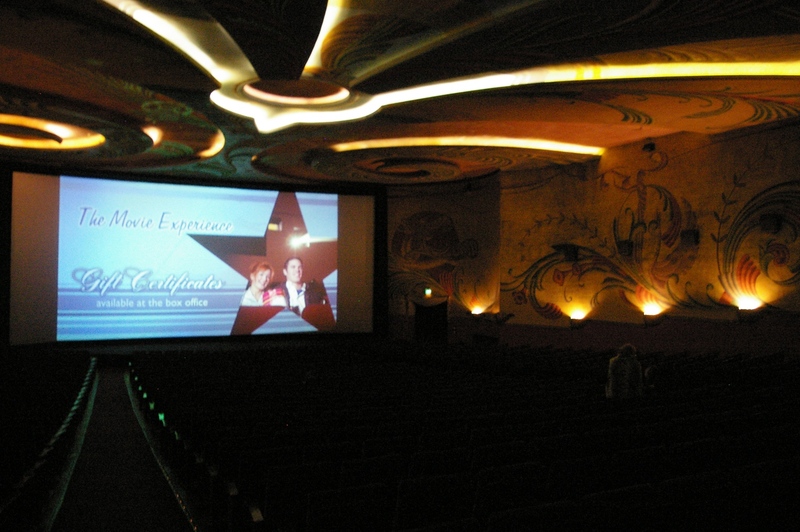 The subject is “Cinema in San Luis Obispo”. As this is a broad theme, there’s no real connection between what the three interviewees talk about, but I think it’s a fairly interesting insight on what these individuals, who really care about cinema in San Luis Obispo, are thinking. The Facebook page SLOpages pointed out an old youtube link of a video featuring San Luis Obispo’s Sunset Drive-in and its owner Larry Rodkey. It’s nice to hear about the now 60-year-old drive-in theater from the manager himself, so be sure to check it out. Here is a map of the movie theaters in San Luis Obispo. This is not just any map, for it tells the location of now disappeared theaters such as the Obispo and The Elmo. Hope it gives a good idea of how much San Luis Obispo is (and has been) rich in movie theaters. I have also added it at the end of the timeline. Click here to see it. For those who want to know more about the Web series “Townies” Cal Poly’s official film club was working on last quarter, here’s a transcript of the interview I did with him. Griffin Davis is the president of the film club, and many of the club’s projects originate from him. I am looking forward to their future projects, which I have not revealed in this transcript, to preserve some element of surprise. I would like to talk about the Club of Independent Filmmakers (CIF), Cal Poly’s official film-making club. As I was in a film club back in Japan, I was wondering how active Cal Poly was in film-making activity. I was surprised to learn that there existed only a single club in the whole college. I tracked down the adviser for the club Professor David Gillette, and he put me in touch with club president and founder Griffin Davis.